Recently, I had the opportunity to try some Stonyfield Green Yogurt. I am a huge yogurt fan, as I have blogged about before, especially Greek yogurt. Not only do I know how good it is for me, with the protein, but I love the thick creamy taste. 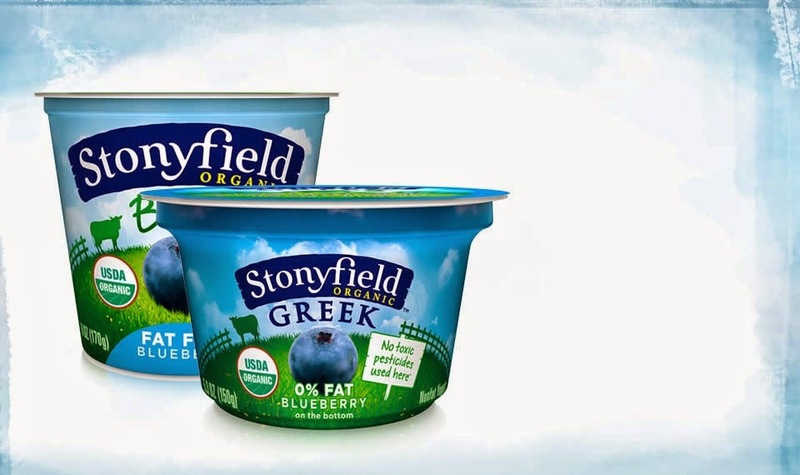 Stonyfield Yogurt is also available in baby, toddler, and kid varieties. Each of these products are available in squeeze pouches to make it easy for kids to easy for little hands and to eat on the go! Both of my boys love the YoKids, their favorite is the Blueberry Blitz! When we have to get up and get stated on school work, they always grab a YoKids to start the day.